The Demon is a fictional character, a superhero appearing in comic books published by DC Comics. Created by Jack Kirby, the titular character, named Etrigan, is a demon from Hell who, despite his violent tendencies, usually finds himself allied to the forces of good, mainly because of the alliance between the heroic characters of the DC Universe and Jason Blood, a human to whom Etrigan is bound. Etrigan resembles a squat, muscular humanoid creature with orange (or yellow) skin, horns, red eyes, and ears resembling bat wings. Blood is a tall, thin, suave man with dark red hair and a lined face. 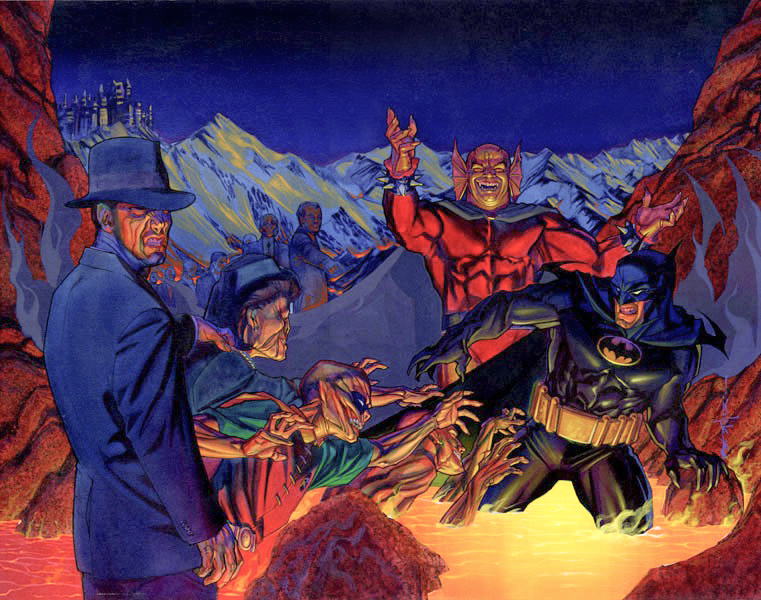 The character was originally based in Gotham City, leading to numerous team-ups with Batman. Etrigan was inspired by a comic strip of Prince Valiant in which the titular character dressed as a demon. Kirby gave his creation the same appearance as Valiant's mask. 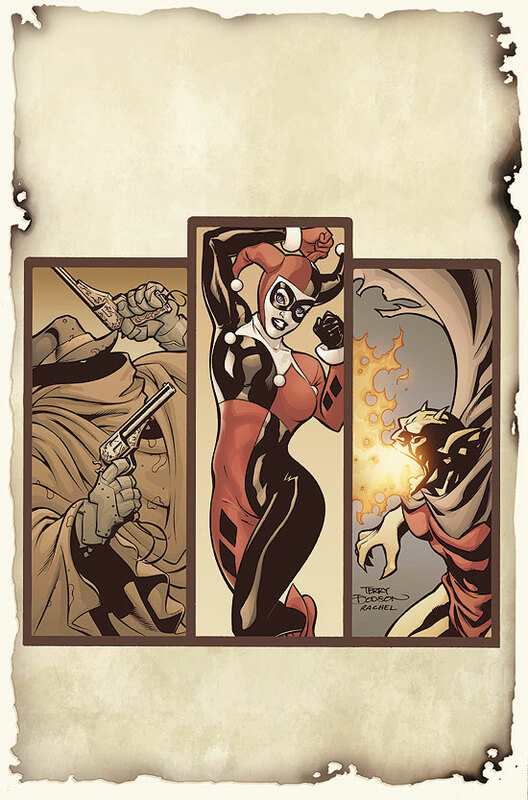 Origin: Jason Blood was bonded to Etrigan by Merlin for aiding Morgaine le Fey in the taking down of Camelot. Etrigan is a demon from Hell who usually found himself allied to the forces of good. Etrigan resembles a squat, muscular human with orange (or yellow) skin, horns, red eyes, and ears resembling bat wings. He was originally summoned by the wizard Merlin as part of a last-ditch defense of Camelot against the evil witch, Morgaine le Fey. When it became clear that the kingdom would fall regardless, Merlin sent the demon away and bonded him into a human named Jason Blood to wait until he was summoned. Centuries later, Jason was called to the crypt of Merlin and discovered a poem that could change him into Etrigan. Unfortunately, he was followed by the long-lived Morgaine who lusted for Merlin's secrets. That led to Etrigan's first major battle, and to the solidification of Morgaine as a major enemy. In addition, he later gained another enemy in Klarion the Witch Boy, a permanently prepubescent mage who created trouble with his magic. Some time later, Etrigan began speaking entirely in rhyme, as the result of a promotion, with the rhyming speech being a badge of his new rank in the infernal hierarchy. in the heart for fire! Generally, only the last two lines were actively recited, and the words have been known to vary slightly; the phrase "yarva daemonicus etrigan" has occasionally been used, but not consistently. 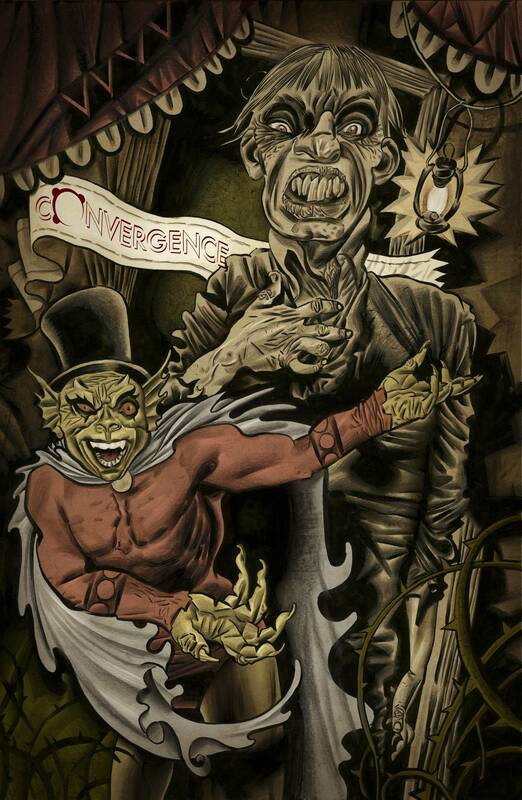 The reverse spell was "Gone, gone O Etrigan! Rise again (or once more) the form of man!" The spell itself did not need to be recited by Jason or Etrigan to be effective, merely within their range of hearing. In emergencies when Jason could not speak (such as one time when he was turned into a fly) writing it was sometimes sufficient to effect the change. On one occasion, Blood released Etrigan by using a parody of the spell ("Gone o little man so tame / and rise the demon Whatsisname"). After emerald archer Green Arrow's resurrection, Batman and Oliver recruit Blood for his occult knowledge as to how Oliver could have been resurrected. It is found that Oliver is a Hollow - a soulless husk of a human, created by Hal Jordan with the Spectre's powers to soothe his guilt. Blood called on Etrigan to kill Oliver (being a Hollow left him vulnerable to possession, which could have been very bad). He was stopped in his attempt by a Fire Extinguisher Arrow. Batman, in response to the unusual weapon said, "I will never ever mock your trick arrows again." 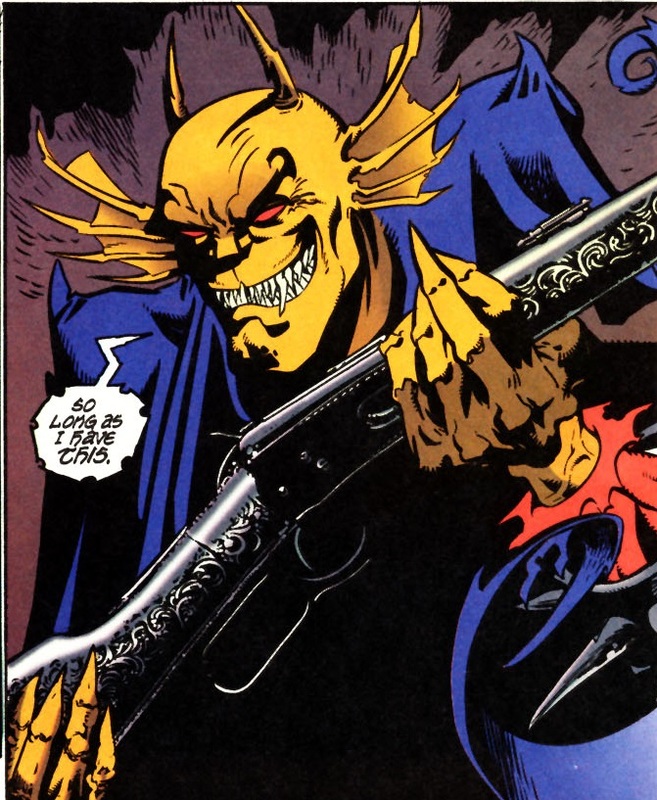 Etrigan eventually lost the restrictions imposed upon him by Merlin which turned him from evil, caused by his "murder" at the exact moment he was transforming from his human guise Jason Blood into his demon self. It turned out that the incident resulted in Jason Blood being able to exert some will over Etrigan's violent nature, whereas previously the two remained separate, only one existing at a time. Superhuman Strength: Mystically enhanced strength, much stronger than that of regular demons. Superhuman Durability: Mystically enhanced durability, much more durable than regular demons. Superhuman Speed: Mystically enhanced speed, much faster than regular demons. Superhuman Stamina: Mystically enhanced stamina, takes longer to become exhausted. Superhuman Agility: Mystically enhanced agility, more agile than regular demons. 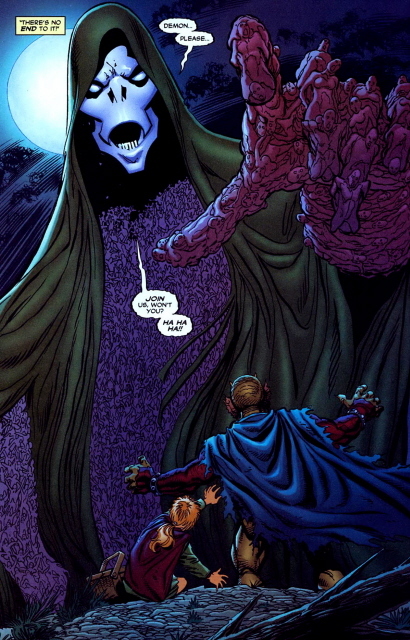 Immortality: Being a demon, if Etrigan is ever killed he is banished to Hell and may return. Hellfire Projection: Etrigan's favorite fighting technique is to burst large amounts of Hellfire from his mouth at enemies. Sorcery: Etrigan has a high command of magic, through his prowess in magic he has enhanced his normal demon physiology giving him added abilities. Claws: Mystically enhanced claws, more deadly than regular demons. Fangs: Mystically enhanced fangs, more deadly than regular demons. Enhanced Senses: Mystically enhanced senses which allow him to better find his prey or opponents. Precognition: His magical prowess has given him limited precognition. Accelerated Healing: If Etrigan is ever harmed he can heal quickly from large amounts of sustained damage. Occultism: Etrigan is also provided with insight to religious aspects and other forbidden or secret knowledge. 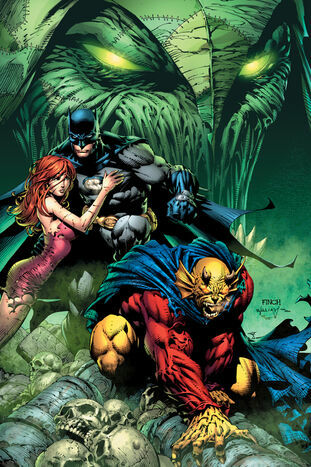 lass 100+; Etrigan can lift over 100 tons and is said to have strength comparable to Superman in Hell. 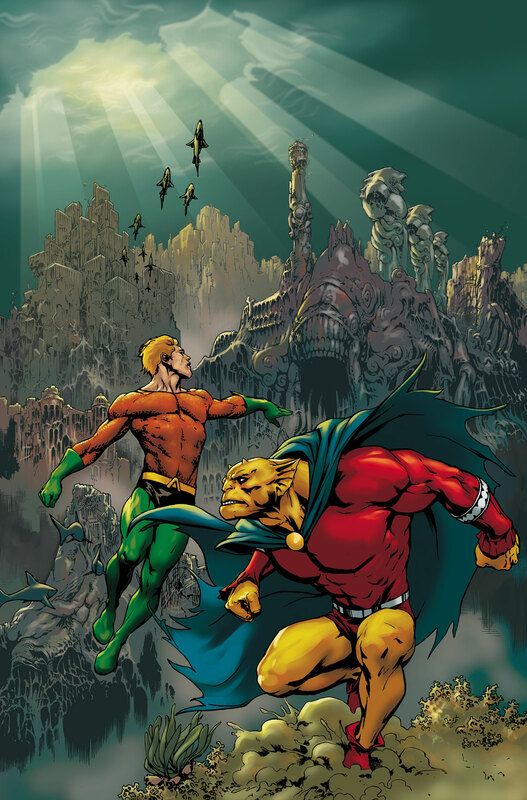 On Earth Etrigan has struggled to fight Superman and has been presented with wavering strength classes from 25 to 75. 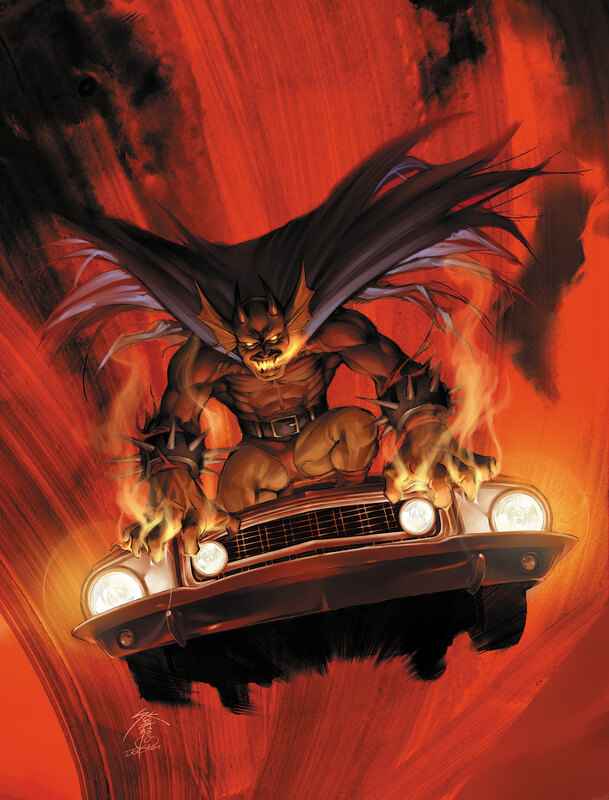 Demonic Laws: Etrigan has all the limitations usually associated with a demon, including a weakness towards iron.